That is a lovely collage. That's pawsome! Happy Valentine's Day!!! awww - this is really pretty, love this collage, blessings! 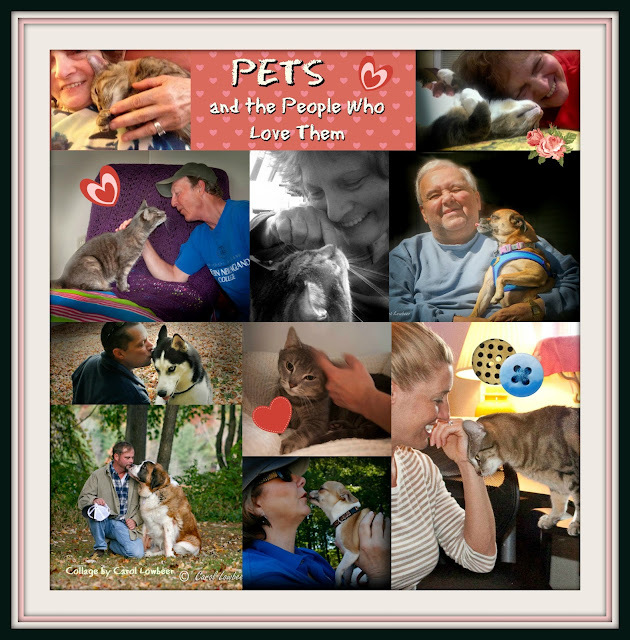 Dat's a pawsum collage and you girls are just gawjus and so luvved. Whenever we think the Beins are just about crazy and hopeless, we see something like this and are reminded that they are loving and caring too... And even to each other sometimes. this is really lovely, it made Mum smile ad so proud of her fellow pet family and friends.